Social media and the blogosphere went nuts. 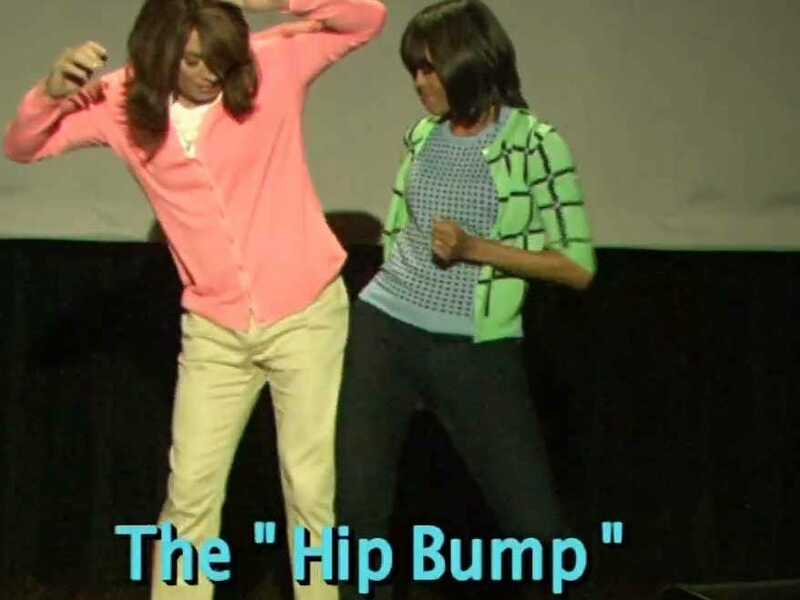 “The first lady demonstrated an uncanny ability to make the lamest dance moves look cool,” wrote Daniel Politi on Slate. One tries to imagine Mamie Eisenhower or Pat Nixon doing “The Sprinkler.” Bette Ford or Hillary Clinton (before she became a US Senator and Secretary of State) maybe, but probably not either of the Bush first ladies. Fallon suggested a Michelle-Hillary ticket for president in 2016. But the first lady said she had her eye on another post-White House job. “I hear that when Jay Leno retires that ‘The Tonight Show‘ position is going to open and I’m thinking about putting my hat in the ring,” she joked. Want your top political issues explained? Get customised DC Decoder updates. The President’s dancing skills inevitably came up. “How about Barack, is he a good dancer?” Fallon asked. “You know, I give him a B,” Mrs. Obama said, tactfully. “His dancing is right here in the pocket. He’s got like three good moves. But they’re all right here,” she said while dancing with her hands by her hips. Dancing with Fallon is part of an effort to promote Mrs. Obama’s “Let’s Move” anti-childhood obesity campaign, which marked its third anniversary this month. Besides the appearance on “Late Night,” Mrs. Obama discussed the initiative while in New York City during segments taped for broadcast Tuesday on ABC’s “Good Morning America” and Thursday on “The Dr. Oz Show,” the Associated Press reports. Next Wednesday, Mrs. Obama embarks on a two-day promotional tour, with stops in Clinton, Miss. ; Chicago; and Springfield, Mo. For the second anniversary of “Let’s Move,” she and Fallon turned the East Room of the White House into a playground. They did pushups, twirled hula hoops, and competed at dodge ball and tug-of-war before the first lady triumphed over the comedian in a climactic potato sack race.